Venetian Blinds have always being a favourite with our customers and this season they have gained even more in popularity. They can be tilted to give you privacy while still allowing the light to come through, or closed for maximum thermal insulation. Our Venetian blinds are custom made to your exact measurement from the finest materials and carefully hand assembled. Each one is carefully hand checked by our skilled blind makers before being packed for installation. Visit our Hamilton factory to see your blinds been made. Our most popular range is the 50 mm Cambridge Range. 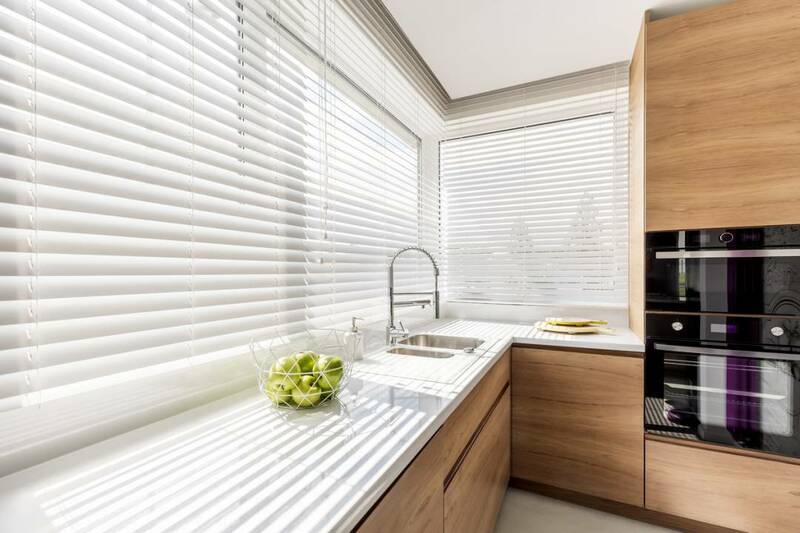 Hamilton blinds also offers a 63mm width designer slat which gives the look of a shutter at a very competitive price. Call or visit us today to discuss your requirements!